How to Leverage Machine Translation for Your Business Growth? There has been a steep rise in the demand for translation services all across the globe. In the United States of America alone, the translation industry is expected to grow by a whopping 46 percent by 2022, whereas the average growth rate of others is estimated to be 11 percent. Opting for translation makes more business sense as evaluations suggest that in order to reach out to 80% of the world’s population, a business must communicate in at least 12 languages. Hence, more and more ventures, in their quest to woo a larger pool of users, are going for translation services and this necessitates businesses look out for options other than the conventional human translation. Machine translation seems like the only viable alternative; however, one must keep in mind that when it comes to quality and accuracy, the output given by machines fails to match the work done by a professional translator. This is because a machine does not understand every aspect of a language; rather, it follows certain rules through a series of codes and is, hence, prone to making embarrassing glitches in a translated text. Yet, despite their drawbacks, machine translation is a big savior for global businesses. Machines certainly cannot be used everywhere indiscriminately; however, a strategic use of machine translation may prove to be a game changer for your business growth. Being prompt is one of the most admired qualities in business. More and more businesses are using social media platforms to interact with their users. Responding to the queries of customers across the globe and considering their issues in real time are critical to your market image. 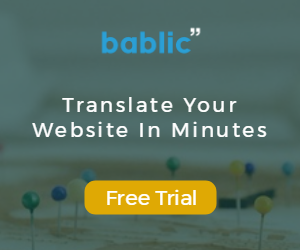 Machine translation provides instantaneous translation of the comments, suggestions, questions, and criticisms of your customers and allows you to be prompt in dealing with them. The thumb rule for using machine translation is this: In situations where speed precedes accuracy or when compromising on speed would cost you dearly, go for machine translation. Flawlessness is important in textual communication; however, in some cases, it is more important to just get a gist. Machine translation at times is awkward semantically; yet, one can easily understand the essence of a text by reading it. For this reason, machine translation can be easily used in cases where driving home a point is more important than being grammatically correct. Understanding your international competitors, preparing documents for internal circulation, taking general feedback from users etc. are some of the cases wherein opting for machine translation makes more monetary sense compared to the human alternative. If the text you are churning out repeatedly has a similar style, it would then perhaps be more appropriate to go for machine translation. This is because when a translator manually makes small edits in a translated text, the software remembers the amendments that are done. Its memory keeps on growing with time and after a while, the software will recognize your translation style and would not make the initial mistakes again. A professional translator translates around 1500 words in a day, which means if your requirement is huge, human translation might not be feasible. Managing large volumes of text is possible only through machine translation. However, one should carefully choose the text that one can risk to get edited digitally and identify those that will require a human translator. For example, let us assume that your website has 100 pages; not every page would be customer-centric and not every page would be crucial from conversion perspective. You can select a handful of pages that you’d like to be translated by humans and the rest can be fed into a translation software. To be on the safer side, it would be good to mention on a page itself that what you are viewing is machine-translated and may contain some errors. Despite the fact that machine translations are not as accurate as those done by human pros, they are being widely used by global businesses to reach out to a wider audience. One can certainly not depend on them solely; yet, a calculated and tactical use of this other option vis-à-vis translations can do wonders.